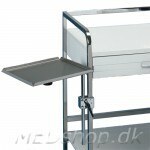 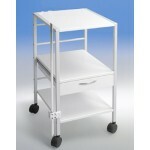 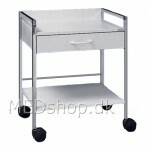 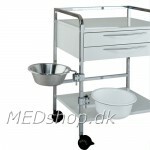 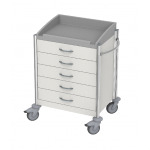 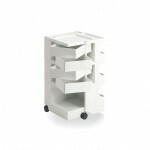 In this category you will find trolleys, scroll tables and instrument tables in all shapes and sizes for any purpose. 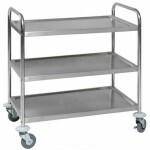 Shelves you wish for your clinic. 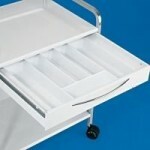 Thus you can store all the equipment you need in or at the table. 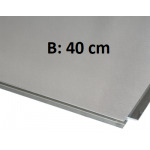 We carry a number of well-known brands such as Haeberle, Auxílio and Boby (B-line). 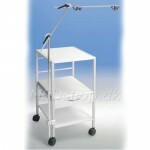 We also offer accessories for the trolleys, such as drawer inserts for instruments, cable arms, etc.